How can opera be relevant in today’s time-poor world? In a world where time is short and news is instant, is there a space for opera’s lengthy death scenes and extravagant vocal numbers? Scenario 1: a man is being chased by a serpent (bear with me on this one). Instead of running away, he stands still and sings, begging for someone to save him. Luckily for him, three women appear from nowhere and dispose of the serpent while turning out neatly coordinated three-part harmony. All in a day’s work. Or how about scenario 2: a young woman is dying of lung disease. She’s very weak, and the doctor has warned that her end is nigh. She’s on her own, in bed. But that doesn’t stop her performing one last big solo vocal number – high notes and all. With two verses. It probably won’t surprise you that these are moments from two operas still regularly performed today: the start of Mozart's Die Zauberflöte (The Magic Flute) and the end of Verdi's La traviata. Opera is notorious for its silly plots. And in comparison to some twists of operatic fate, even these two episodes look like gritty kitchen-sink drama. It can, without doubt, be a very strange art form. Some characters in opera sing because they’re musicians. Others because they’re ordering a drink, or signing a contract, or showing off a new hat, or reporting on how totally, amazingly happy they are. In fact, opera has been crowded with over-sharers for hundreds of years – long before social media came along. Small wonder it’s so easy to laugh at opera these days, or to dismiss it as irrelevant: we live in a world where we dive down backstreets to shave seconds off our journeys, where news is reported as it happens, where messaging is instant. Speed matters. Time is short. There’s another side to the story, of course. We also live in a world obsessed with wellbeing, de-stressing and finding ways to live in the moment. From slow food to slow TV, the 21st century has also brought new forms of push-back against the whirlwind of modern life. This is where opera comes into its own. Yes, characters in opera mostly sing, most of the time, even when they’re saying something quite mundane. Yes, that opera-singer sound can take some getting used to. It’s an art form predicated on an extraordinary feat of athleticism, its stars able to project their voices – without amplification – to the back of huge theatres. But the real magic in opera starts when time stops: when one of those superhuman voices is so loud, or so quiet, or so powerfully expressive that you can’t think about anything else. When opera’s slowness – its tendency to stand still when a more realistic art form would offer rapid action – makes time when we need it most: to explore, to think, to feel. I'd be much less time-poor if I didn't spent half my nights at the opera! Indeed!! It's the case with me too!!! Contrary to what scientists would have us believe, Time does not move in an equal measure.We have all experienced the speed time passes when we are engaged and happy, and conversely how slow a minute can be when endlessly waiting for something. Good writing or composing does this. The novel that we cannot put down, the film that seems to fly by, and of course plays, ballets and opera. They all need to lead their audience into their own time frame.. and once we give ourselves to the piece and tune in on it's time wave, we can be transported. Music and the heightened emotions of singing all help to enrich our understanding of the world. We need to buy into that illusion. However, if all the elements do not work together that blissful five minutes or five hours can seem interminable. No technical explanation here but, speaking for myself, I need to escape from the real world to the wonders of the opera stage with sublime music, wonderful settings and incredible talents washing the cares of the day away and soothing the emotions and the soul. What does it matter if it's not real? Movies aren't real, much of literature is based on romance and fairy stories but is still read. Life today is a rush for survival, comfort and possessions, opera is a balm to ease those pressures for which I am eternally grateful. Opera is a chance in a hectic world to stop and for an hour or two live in a world where the human condition is expressed in beautiful music and for a short time to experience emotional heights that we not normally feel. The longer the opera, the more chance I have of three harps live, so win-win. With an epic Verdi or Wagner time slows down. Fact. Aaargh the meaningless 'r' word. Why are we always trying to defend or justify opera? It is not relevant but timeless, as most things of great beauty are. And its enduring melodies, deep emotional truths & human architypes mean that everyone no matter their background can find something in it that touches them in some way or that means something to them. I've seen Syrian refugees who had no idea what opera was come up to me and tell me how happy such beautiful music made them. Does (GREAT) opera need to do much more? Are we time-poor or attention-span poor or just interrupted too many times a day by our cell phones? Can you imagine an opera where the main character is interrupted by a cell phone repeatedly? Most operas sweep us back to times past and we cry in the same places as people did 200 years ago. It's time-rich, well actually, timeless. Of course opera is still relevant and part of our culture as a human being. It is a sophisticated art form which is highly appreciated by those of us who adore it and must be preserved for humanity. 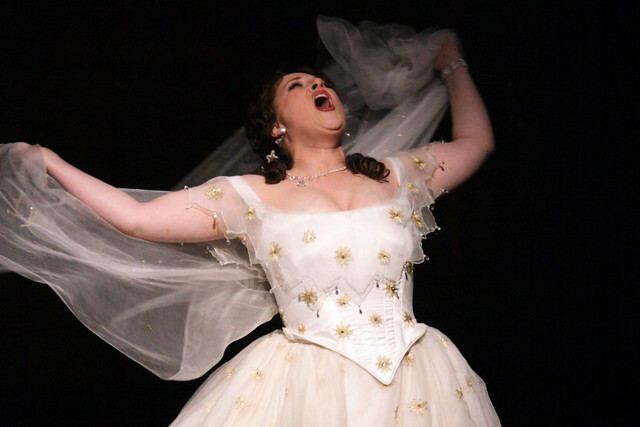 Through opera, as with other forms of art, the soul is nourished and the spirit uplifted. One can say it is even spiritual!